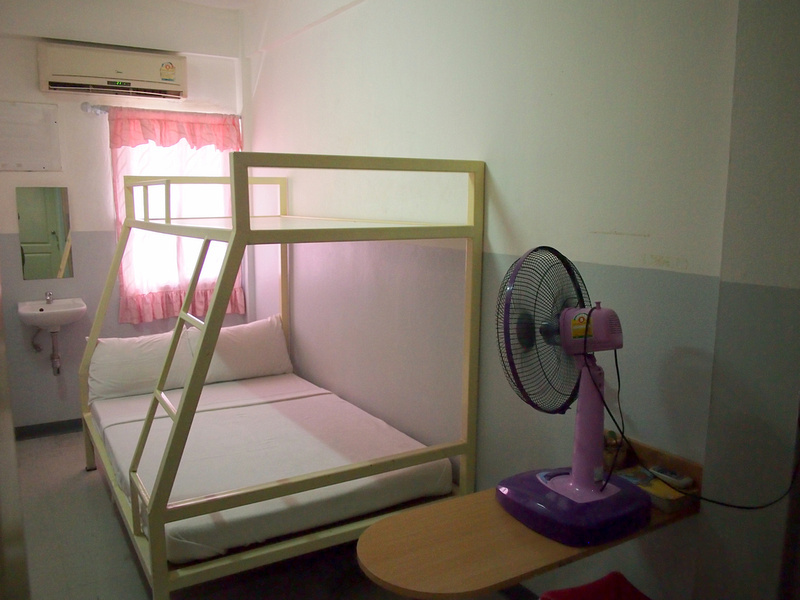 I stayed at the The Train Guesthouse in Bangkok, which I booked online for the rate of $10.95USD per night. I should say that I rested here because I didn’t stay here overnight. I booked it purely to rest and work here during the day before getting the overnight train to Nong Khai. I checked out of an Airbnb room that day, and they had no facility to store bags. Rather than spend all day with my bags I found this guesthouse which is next to Hua Lamphong, the main train station of Bangkok. Finding the guesthouse is easy enough as it faces the side of the train station, and the building looks like a train. I got a single room with a shared bathroom. 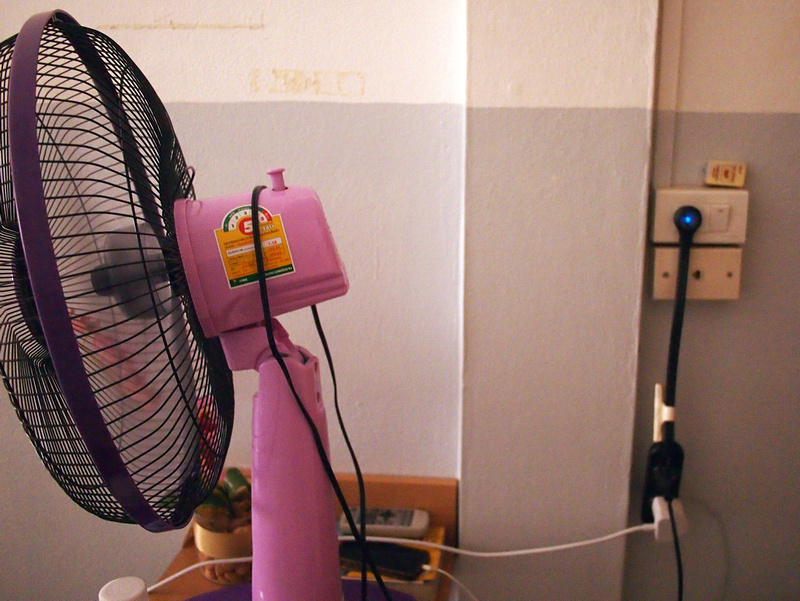 The room had aircon and a fan, and the fan was enough to keep the room cool. The bed was comfortable and it was a great little room for an afternoon siesta before getting the train. As is often the case with older rooms there was only one power outlet, which was being used for the fan. Situations like this is why it is useful to travel with a power strip. 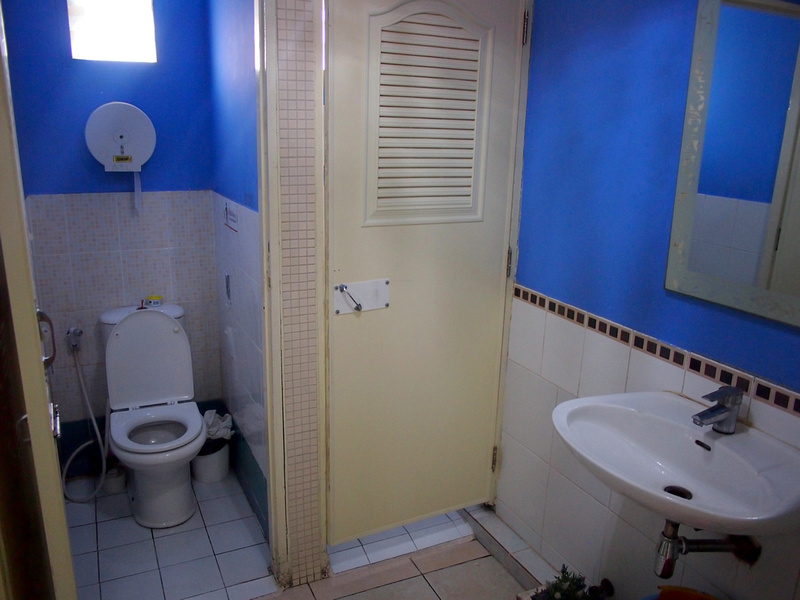 The shared bathroom was a bit small but otherwise in reasonable condition. Downstairs there is a little cafe section where you can get tea and coffee, and water. 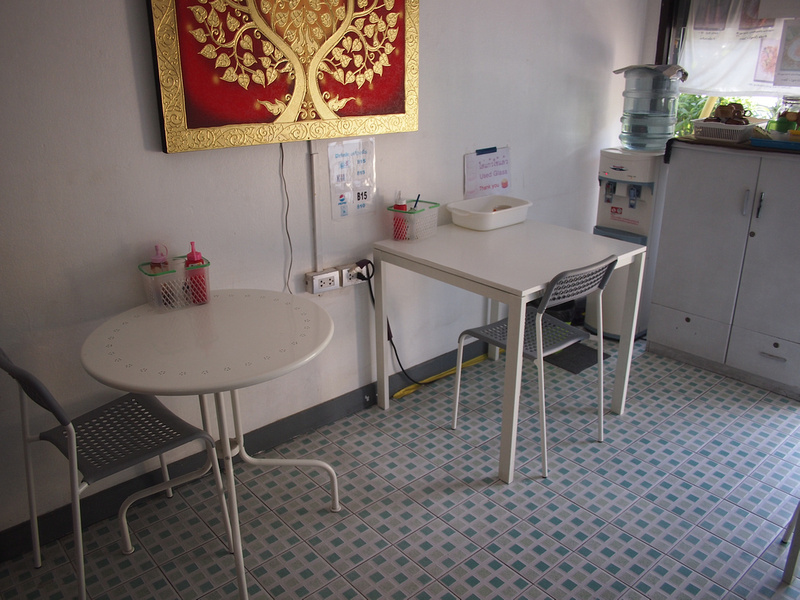 Overall this was a decent budget guesthouse in the Hua Lamphong area. It’s ideal for backpackers getting early or late trains, and the area has a few other budget hotels that are popular with backpackers. While nowhere near the same scene as the Khao San Road backpacker area, this is a good alternative if you prefer to stay away from the backpacker street. Being near the Hua Lamphong MRT also makes it convenient to get around. 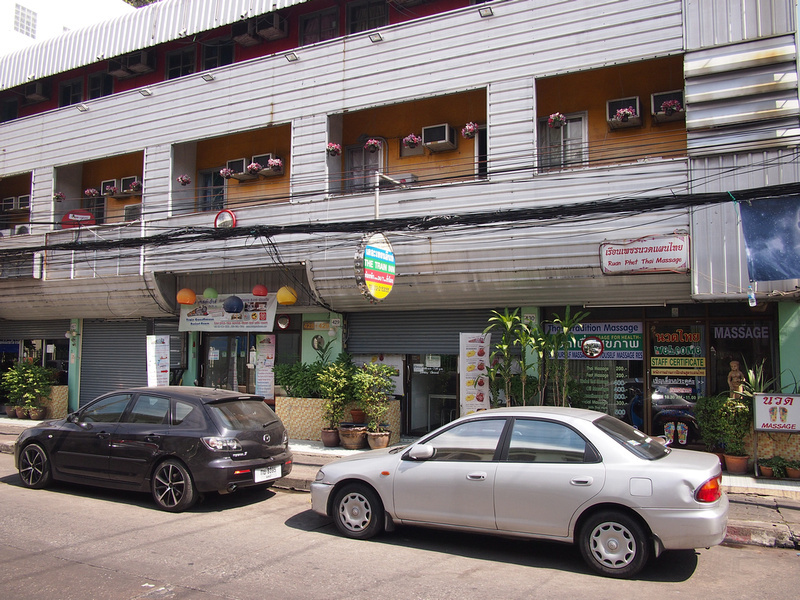 Book the Train Guesthouse online or search for more hotels in Bangkok. For Bangkok beginners read this guide on which areas to stay in Bangkok.